Cleaning up your diet and eating healthier is often just a matter of knowing where to start. Unfortunately, many people think that a healthy diet is only about removing foods, not adding them in. This list of the 10 Best Foods to Eat focuses on what you should be eating, not on what you shouldnt eat. All of the foods below are nutritionally-dense and are loaded with either antioxidants, lean protein, fiber or heart-healthy fats. In some cases, theyll have all four. Even better, most of the foods on this list are low in calories compared to their volume, which means youll feel fuller and more satisfied after eating them. Remember, this list is intended as a starting point there are tons of other healthy foods out there that could easily have been included. Share your best healthy food choices with us in the comment section below. Egg whites are one of the most concentrated, easily-absorbed forms of lean protein on the planet. Low-in-fat, but high in protein, egg whites can be a great addition to a healthy diet. Whip them up into omelets, scrambled eggs or even fold them into your morning oatmeal for a protein booster. To get some of the health benefits of the egg yolk, without too much additional saturated fat and cholesterol, try using one whole egg with three to four egg whites. Egg whites are not only high in protein, but also riboflavin and micronutrients like selenium which may have anti-cancer properties. Speaking of breakfast, oatmeal, oats or oat bran are one of the best food choices to start your day off right. Oatmeal is high in fiber including the soluble form of fiber than can help sweep cholesterol from the body. It also has plenty of slow-digesting, complex carbohydrates that keep your energy levels up and your blood sugar stable. 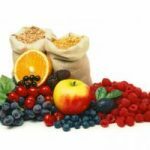 Oatmeal is also one of the four foods included in the Portfolio Diet, an approach to eating that has been shown to reduce blood cholesterol levels as effectively as statin drugs. Avoid the pre-flavored, pre-packaged instant varieties (although regular instant oatmeal is fine in a pinch) that contain lots of added sugar. Opt instead for quick oats, old fashioned oats, steel-cut or boxed oat bran. Each of these varieties will have a slightly different texture, so experiment around to see what works for you. Also, dont forget that granola is made from oats and makes a great cold breakfast cereal when paired with skim milk. Again, try to choose low-sugar varieties of packaged granola (like Bear Naked Fit) or make your own low-sugar homemade granola at home. Canned, dried or re-fried, it doesnt matter, beans are wicked good for you. Like oatmeal, beans are extremely high in fiber, which keeps you regular and may also reduce the risk of certain cancers and heart disease. 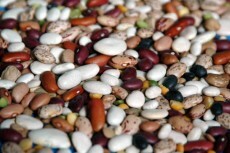 Beans are also very versatile and come in a wide range of varieties, all with slightly different textures and flavors. The best approach is to eat a variety of different beans, including black beans, pintos, kidney beans, cannellini beans and Garbanzos (chickpeas). Because along with that protein and fiber, beans are also very high in antioxidants, the chemicals which give beans their distinctive color and may help neutralize free radicals that can cause cellular damage in the body. By eating plenty of different colored beans, you are taking advantage of the full spectrum of phytochemicals unique to each variety. Beans are very versatile and can be added into all kinds of recipes. Including them alongside grain-based foods (like pasta) or rice results in a complete protein. Beans can be added to pasta dishes, rices, soups and even made into salads. This ancient staple of the Inca Civilization is one of the healthiest grains you can eat. 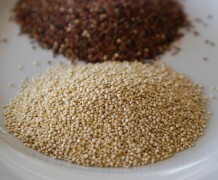 Not technically a grain, but rather a seed, Quinoa (pronounced keen-wah) has started to pop up in cookbooks and on restaurant menus, thanks to its broader availability in grocery stores. Look for it in the rice or organic/natural food isle at the grocery store or health food store. An excellent substitute for brown rice, quinoa has a light, fluffy texture that makes it a great base for cold salads and tabbouleh, or as a warm breakfast cereal or a side pilaf. Its relatively high in fiber and complex carbohydrates, and is one of the only plant-based foods to have all nine essential amino acids, making it a complete protein. Its available in red, black, white and yellow varieties and there are even quinoa flakes available that make a tasty and creamy breakfast cereal. 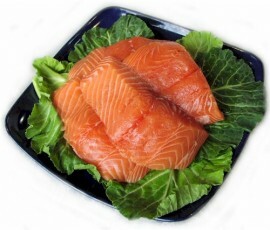 Fish has always been a great source of lean protein for people who are fortunate enough to live near water. However, aside from canned and frozen fish, fresh fish wasnt widely available to landlubbers until a few decades ago, when improvements in shipping made it possible for even people in Kansas to get fresh fish at the grocer. Whats so great about fish? Fish is high in polyunsaturated Omega-3 fatty acids specifically eicosapentaenoic acid (EPA), and docosahexaenoic acid (DHA) a class of healthy fats that research has shown may reduce the risk of coronary heart disease. These healthy oils in fish can also improve circulation, discourage blood clots, reduce blood pressure, alleviate some symptoms of acute and chronic inflammatory disease, as well as possibly improve mood. While fresh fish is preferable, dont forget about frozen fish as well as canned varieties like salmon, tuna and mackerel which can make it easier and more convenient to include more fish in your diet. Canned fish is higher in sodium, so if thats a concern go easy on the canned, and opt instead for frozen or fresh. Almonds other nuts like walnuts, pecans and Brazil nuts consistently make the cut for one of the 10 best foods to eat thanks to their high levels of antioxidants, healthy fats and high mineral levels. Regular consumption of nuts, especially almonds, has been linked to reduced risk of cardiovascular disease, Type II diabetes, certain cancers and possibly Alzheimers Disease. While nuts have a reputation as a fattening food, research indicates they may be getting a bum rap. Population studies show that nut eaters tend to weigh less than people who dont eat nuts, or at least do not cause people to weigh more. So what gives? Arent foods that are high in calories and fat usually a recipe for fat-gain? Nuts are nutritionally very dense, containing a high-level of vitamins, minerals and micronutrients. They are also good sources of fiber, protein and heart and brain-healthy MUFAs. This makes almonds, walnuts, pecans and other nuts very satisfying, which may cause people to be less prone to overeating later. This effect is even more pronounced if you substitute in almonds and other nuts for nutritionally-empty snacks like potato chips, corn chips or pretzels. Almonds, walnuts and pecans also consistently rank in lists of high-antioxidant foods. The types of antioxidants very depending on the nut, so including a wide-range of them in your diet can ensure you get the most antioxidant bang for your buck. Watch out for sodium, however. While a handful of salted almonds every now and then is fine, try to find other ways to include unsalted nuts in your diet, including adding them to salads, granola or oatmeal. Cruciferous vegetables are a class of vegetables that include things like cabbage, broccoli, cauliflower, brussels sprouts, kale and radishes. These vegetables make our list of the 10 Best Foods to Eat because they are high in Vitamin C, soluble fiber and numerous nutrients that may have anti-cancer properties, including compounds like diindolylmethane, sulforaphane and selenium. 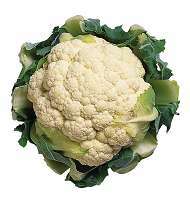 Research from the University of California – Berkeley has indicated that one of the compounds in cruciferous vegetables, 3,3-Diindolylmethane may have potent anti-cancer properties and suppresses cell proliferation in prostate cancer cells. These vegetables can be eaten raw with healthy, low-fat dips or in salads. They also are great additions to stir-fry or as stand-alone side-dishes. Yes, an apple a day might really be able to keep the doctor away. And thats why they earned a place in the 10 Best Foods to Eat Hall-of-Fame. 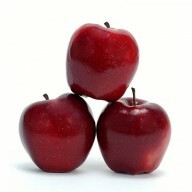 Apples are one of the healthiest fruits you can eat. High in fiber especially soluble fiber and fruit pectins and also high in antioxidants, vitamins and trace minerals, apples are a great daily addition to a healthy, clean eating diet. And because they are portable, they make a great, easy-to-transport snack. Research indicates that regular apple consumption may help reduce the risk of colon cancer, prostate cancer and lung cancer. They also contain phytochemicals such as quercetin, epicatechin, and procyanidinB2. Even better, they are relatively low in sugar, calories and contain no fat or cholesterol. While apples are great whole, dont forget that they make an excellent, crispy addition to salads or your morning oatmeal, cold cereal or muesli. Berries like raspberries, blackberries, blueberries, cranberries and strawberries all make the 10 Best Foods To Eat list because like apples and cruciferous vegetables, they are all extremely high in antioxidants, low in fat, and are good sources of fiber. 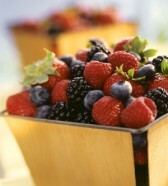 Berries are also relatively low in sugars compared to other fruits like bananas, which make them ideal for people who prefer to keep their carbohydrate intake lower. They also freeze very well, making them a great fresh frozen fruit to keep on hand in the freezer to throw into smoothies or on your cereal or oatmeal in the morning. 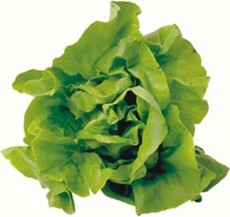 Last, but not least, are salad greens. While green leafy vegetables are a great low-calorie source of antioxidants, vitamins and trace minerals, those greens can be ruined by slathering them in heavy mayonnaise or cream-based dressings. Opt instead to dress them with lighter vinegerettes that use cold-pressed healthy oils like olive oil, nut oils or avocado oil. These oils are high in heart-friendly MUFAs, which may actually discourage fat storage and have additional health benefits. Also, encourage yourself to eat more healthy greens by getting a salad spinner and preparing and bagging your own lettuce at home. Not only will this ensure you always have lots of fresh, crisp salad on hand, but its also more economical than buying the pre-bagged stuff at the grocery. Dont forget heartier greens like kale and spinach, which can be eaten mixed in green salads, or are great additions to soups. Dark, leafy vegetables are great sources of vitamins and minerals and can provide a flavor boost to all kinds of soups and dishes. Youll get the most nutritional punch by combining the foods from the list above. This is known as a portfolio approach to eating. By including a wide-range of different sources of antioxidants, healthy fats, proteins and complex carbohydrates, you can super-charge your meals and diet. There is mounting evidence that phytochemicals, micro-nutrients, and certain vitamins and minerals work together in the body to fight disease, maintain energy and regulate key metabolic functions. 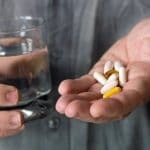 This is one of the reasons that supplementing with isolated vitamins or antioxidant extracts doesnt seem to produce the same results in the body that whole food sources do. So try to include all of these healthy foods into your diet on a regular basis for the best results. What Are Your Favorite Best Foods To Eat To Stay Healthy? Did your favorite healthy food not make the Best Foods To Eat list? Tell us about it by leaving a comment below! Man make it shorter! Yeah people want to lose weight not read a whole novle! Gosh! People arent going to follow your tips until you make it shorter! For me an easy and quick breakfast to make that is good, nutritious, filling and inexpensive includes the following ingredients. 3. 4 to 6 oz of nor or low fat yogurt. Those above ingredients are chopped in a blender until the apple is chopped. 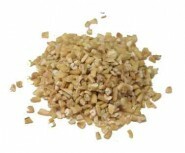 The above mixture is then poured over uncooked quick oatmeal ( or any other bulk type cereal). Cereals like Cheerios, Wheaties or Cornflakes can also be used. For those who like more sweetness, sugar, honey, maple syrup or molasses can added to the blender. There will be some crunch left from the nuts, apple and cereal. Nice list and presentation. I also like the way you have tied together the health benefits of each foodstuff. Thanks. Thank you for the information re 10 best/healthy foods.Much appreciated. One cousin was a health nut who died of a brain aneurysm at 50 yrs old, the other cousin was 90lbs overweight and lived a happy 83 years. .Please pass the cheeseburger and fries! I agree with your 10 best foods. Love to eat healthy and raw. Really love to juice and enjoy the cocktail with all the nutrients. Thanks for your articles they are so interesting and informative.